Licensing is a fast way to get your intellectual property to market. Licensing can be done in months vs. the average 2 years it takes to start and grow a new business. I often meet inventors attempting to build a company around their intellectual property, and their biggest stumbling block is finding capital. As any entrepreneur can tell you, raising money for a new venture can take a long time. This is a problem that can be solved through licensing by finding a company with the expertise and resources to bring your IP to market. In effect you are plugging into a company that is already in motion. When thinking about how to make money with your IP, consider licensing as a fast track to the marketplace. Licensing is a powerful tool for creating wealth from your intellectual property. 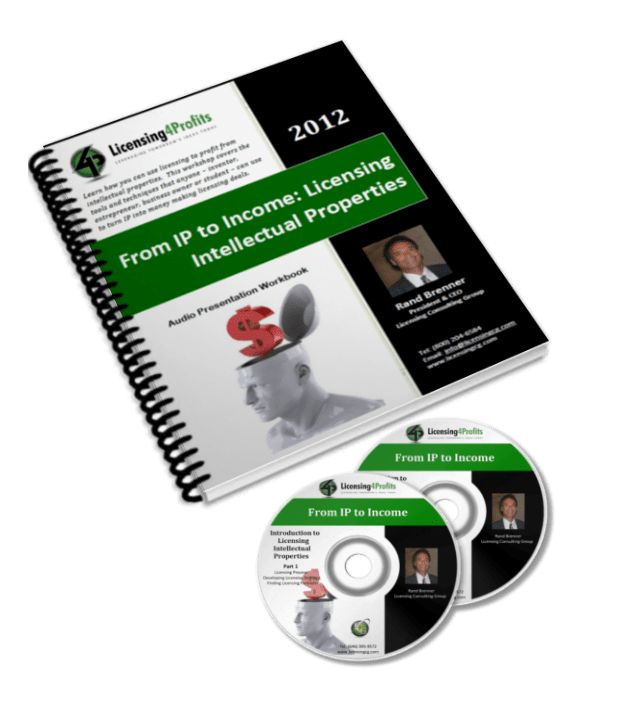 Whether you are an inventor who wants to license out the rights, or an entrepreneur seeking to acquire the rights to an intellectual property, this introduction to the licensing process will show you inside tips, options and strategies to plan, promote, find, present, negotiate and successfully license an intellectual property. If you are just starting out or still developing your IP, then this is the product for you. Click here to get more information.